Dom Zack of Waterbury, VT built this boat for his grandsons, Colin and Anthony, who live on the Indian River in Melbourne, FL. They launched it on the 25 of March 2002. It is a Footloose Beach Cruiser designed by Jordan Wood Boats. He used 3/8" and 1/4" marine plywood with frames made of fir. 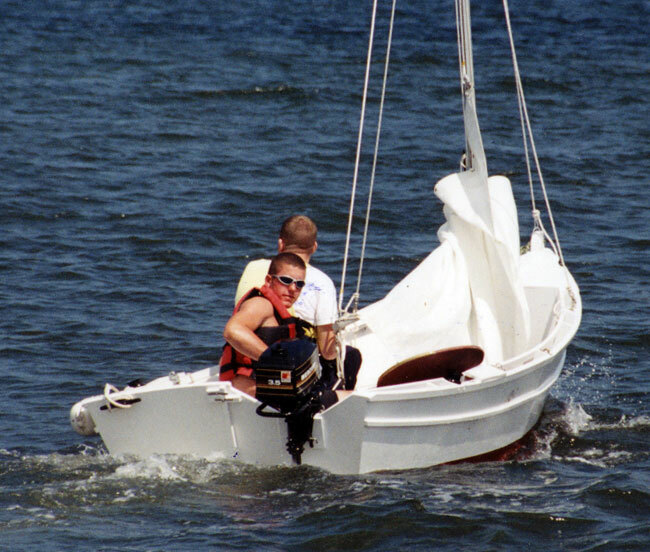 He modified the stern so it would fit a 3.5 hp outboard, and added floatation under the seats.